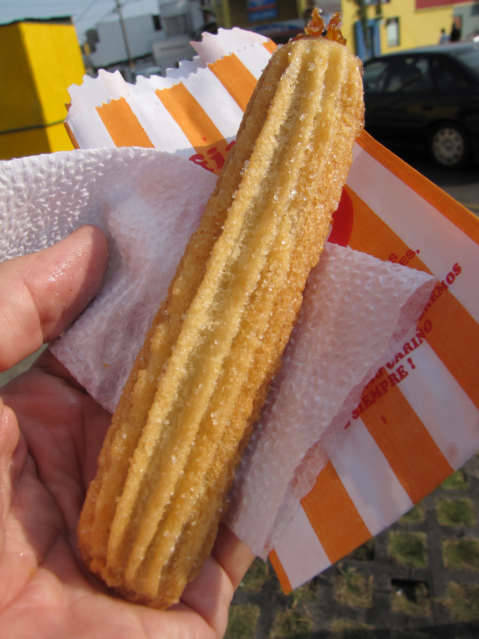 What is a person to do, I travel the planet, I fall in love with a specific foods, then for some strange reasons I return… I walked by a Churro stand at a Super Market called Plaza Vea in Lima, Peru today. Ok, so the Churro is not on my diet, not even close, but to say no would be to ignore Peru, that would not be proper. The price of a Churro is now one Sole, after eight years, it has been a long road back home, “Life is Good,” I have many homes. This is warm, it has a that melt in your mouth feeling. From time to time a person you relive his or her past, walk in the same shoes, walk the same path, so we do not forget to be thankful for all the good days gone by. I understand the lure of a good churro. 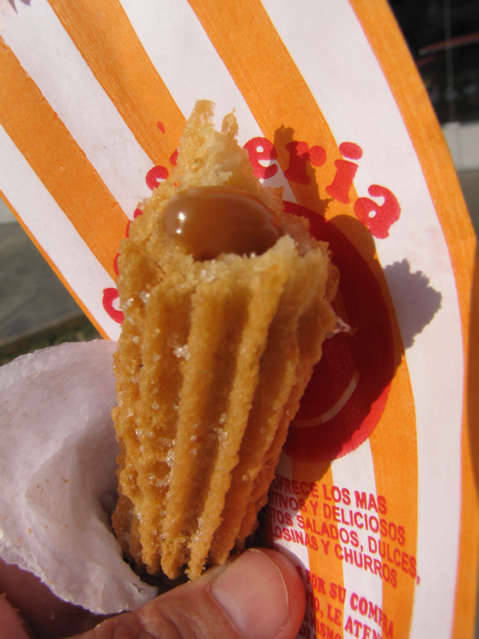 I am about to travel 3000 miles to get my favorite churro (Aguascalientes, MX).